Found a CD with 10 year old scans made with a cheap slide scanner from a trip into the amazon rain forest (or what was left of it). 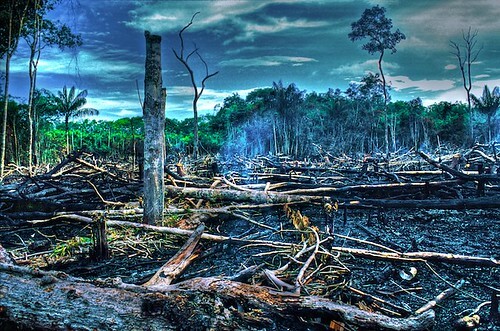 This is how it looks like when the amazon rain forest gets burned down. Did a bit of tonemapping with photomatix to give those old scans a fresh look. © Roberto Saccon. All rights reserved.